But is the 50th anniversary Td5 collectable ? a real thing? seem to be mixed reports online. Were they just 90s made in the same year and had a similar paint job to the V8 50th? As far as I remember there were two Defender models released for the anniversary, the 50th V8 Automatic (which is well documented on here) and the TD5 Heritage. If you mean the 1998 TD5 Heritage, then yes they are rare and considered collectable attracting a premium price. I have seen some adverts for Diesel Defenders from 1998 in Atlantis Blue, but I don't think these were official anniversary models from the factory. can see a pic here if anyone can help with what it is?? This is how a genuine TD5 Heritage should look. The Diesel 50th's don't have any special parts; other than the colour and being sold during the 50th year; and no unique identifier or build plaque. Additionally even genuine 50th Anniversary Defenders were not always registered correctly with the DVLA. (Although decoding the Chassis number provides evidence... to some extend) the Diesel 50th were probably just registered along with all normal Defenders so nothing to prove it - other than the 1998 vintage which will dilute the value compared a 1999 version. Posted: Wed Apr 11, 2018 3:27 pm Post subject: aww ! not like the one I have been shown !! As all of the above say, the 50th hard tops were TDi rather than Td5. The vehicle you have shown is is just a standard Td5 in cobar blue I think, nothing special. Some people refer to the heritage as a 50th vehicle but they are to late for that. 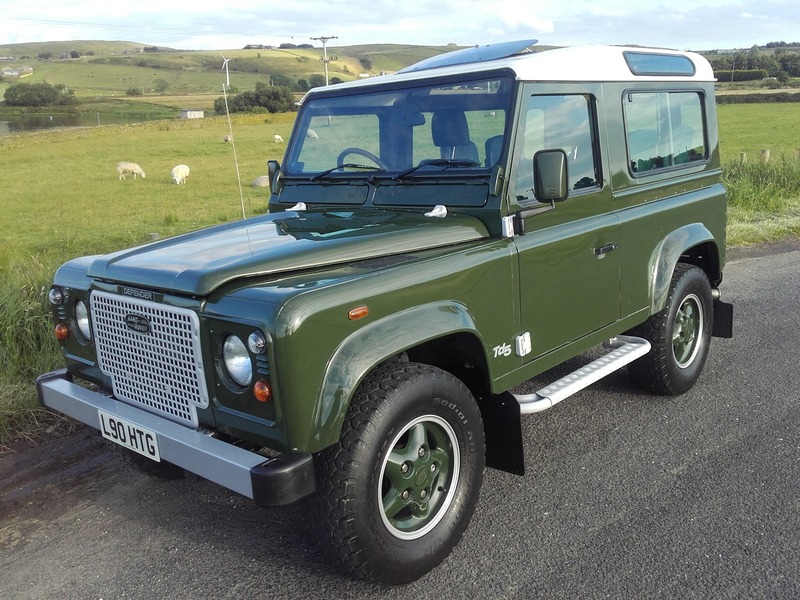 There is one 50th ,which was retro fitted with a TD5 engine and 5 speed gearbox from a long defender, the 50th engine and box was then fitted to the long defender. It was carried out by a Dutch Land Rover main dealer for one of its regular clients. Having spent a brief time in the UK the 50th with the TD5 is now back in the Netherlands. Thanks for that, I knew I had seen a TD5 50th somewhere, that makes sense now!